Maritime boundary delimitation disputes are best settled through negotiations, said Singapore’s Ministry of Foreign Affairs (MFA) on Thursday (Dec 13) amid an ongoing maritime dispute with Malaysia. STANDARD & Poor’s economists have trimmed their growth outlook for the Asia-Pacific, with regional economies expected to cool by between 0.1 and 0.2 points in the next three years. India-ASEAN relations are rooted in shared heritage and civilizational linkages. Singapore has a significant role to play in the success of The Association of Southeast Asian Nations (ASEAN) economic community. Southeast Asia and Europe’s premier regional organizations have reaffirmed their commitment to ensuring the safe movement of labor across borders, just as a recent effort to strengthen global migration governance faced growing opposition driven by anti-immigration populism. 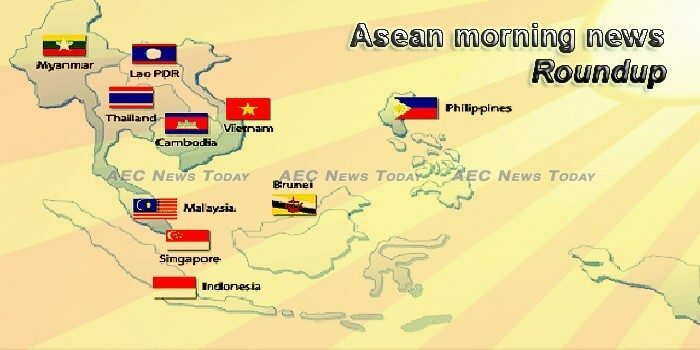 Significant achievements have been made in progressing Asean integration, the Institute for Democracy and Economic Affairs (Ideas) said, but noted that in most areas, implementation of the Asean Economic Community (AEC) Blueprint is behind schedule. A major achievement of the European Union (EU) has been the freedom that it has provided for its citizens to travel across borders and live and work together. The power generating arm of Thailand’s oldest industrial group, B. Grimm, has issued 5 billion baht ($152 million) in “green bonds” to raise funds for further investment in its renewable energy business. 2019: The year of Timor Leste in ASEAN? Much has happened in Southeast Asia this year. The size of the Southeast Asian alternative financing market grew from US$46.65 million in 2015 to a whopping US$215.9 million the following year. With the year coming to an end, it’s time to start planning for 2019. The ASEAN +3 Young Entrepreneurs Forum opened in Ho Chi Minh City on December 13, with its agenda focusing on the role of young businesses in high-tech agriculture startup and innovation. Climate change is a pressing global issue that countries need to combat not only in their individual capacities but also at an intergovernmental level. The inaugural ASEAN Emerging Researchers Conference (AERC) 2018 was recently held at Sunway University with more than 300 participating researchers from around the region. In 2017, many months before its merger with Uber made it Southeast Asia’s biggest ride-hailing app, Grab realized it had a “rendezvous” problem. The Cambodian financial markets have welcomed with gusto the first issue of a corporate bond in the country, with a Phnom Penh-based microfinance institution, Hattha Kaksekar, listing its bonds on the Cambodia Securities Exchange (CSX) on Dec 6. Prime Minister Hun Sen on Wednesday asked the Ministry of Labour and Vocational Training to consider the request of six union groups who have petitioned the government to set a minimum wage for workers in the construction and service sectors. Incoming foreign direct investment to Indonesia is expected to be around US$11 billion to US$13 billion this year, less than the average in recent years of $20 billion per year, a senior official said on Thursday. Indonesia’s Constitutional Court on Thursday ordered lawmakers to increase the minimum marriageable age for girls, in a ruling that could pave the way for ending rampant child weddings in the country. Prime Minister Thongloun Sisoulith told the National Assembly (NA) that the government will thoroughly scrutinise state investment projects to prevent money from being spent on highly unnecessary projects as was the case in past years. Thailand and Laos aim to increase bilateral cooperation in three areas — politics and security, the economy, and society and development — at the 3rd Joint Cabinet Retreat (JCR) on Thursday in Vientiane, the Lao capital. Asian Development Bank – ADB – Country Director Yasushi Negishi accompanied by a group of media professionals is visiting northern provinces to inspect the progress of development projects funded with ADB loans. Malaysia’s overall salary increase is projected to remain stable at 5.2 per cent in 2019, said global consultancy firm Mercer on Thursday (Dec 13). Former prime minister Najib Abdul Razak is Malaysia’s most searched name on Google this year, according to the company’s Year in Search 2018 report. A superyacht seized from fugitive financier Jho Low is back on the market after Malaysia’s government rejected secret bids that came in below a guiding selling price of U.S. $130 million (543.44 million ringgit), officials announced Thursday. Three ethnic armed groups based in northeast Myanmar said they were willing to stop fighting and enter formal negotiations after meeting with members of the government’s Peace Commission on Wednesday in China’s Yunnan Province. Myanmar authorities have launched an investigation into an apparent human-trafficking operation that recruits women as brides and surrogate mothers for Chinese men through advertisements on the streets Muse on Myanmar’s border with China, RFA reported quoting an anti-trafficking official. Lawmakers adjourned their session for their month-long Christmas vacation without approving the proposed P3.757-trillion national budget for next year. THE Department of Tourism (DOT) projects foreign visitor arrivals to reach only some 7.2 million this year due to the closure of Boracay Island. The government is expected to raise up to P41 billion from a tax amnesty program that grants those who have failed to pay for taxable year 2017 and prior years a one-time opportunity to settle tax obligations including estate taxes, general taxes and delinquent accounts. The presidency of UN climate talks being hosted by Poland has asked Singapore to play a lead role in resolving a key topic of contention among countries working to hammer out a deal to limit global warming. China’s port city of Zhoushan is planning to challenge Singapore’s dominance of the multi-billion dollar shipping fuel industry, relying on proximity to some of the world’s biggest ports and Beijing’s support to give it an edge. Singapore has a “wide range of alternative sources” for eggs, in line with its food diversification strategy, the Agri-Food and Veterinary Authority (AVA) said on Thursday (Dec 13). Rescue volunteers involved in the dramatic and complex rescue operation to extract 12 boys and their football coach trapped deep inside the Tham Luang cave in Chiang Rai’s Mae Sai district have been named among Time magazine’s heroes of the year 2018. The Thai currency has declined 0.3% to 32.672 against the dollar this year as of 1.11pm, the best performance among 22 major developing-economy currencies tracked by Bloomberg. The Loei Provincial Court yesterday ordered Tungkum, a gold mining company, to pay about 15 million baht in compensation to families affected by its mining activities. Vietnamese citizens are set to enjoy faster, more convenient and more secure border crossings with new biometric passports to be rolled out by 2020. Rice export prices fell for the fourth consecutive week in Vietnam on concerns of lower intake from China due to stricter norms in Beijing, while subdued demand weighed on the Indian and Thai markets. Some 198km of roads in the northwestern mountainous region will be upgraded under a project costing US$188 million, borrowed from the Asian Development Bank (ADB).